Need to come a different week? Want to be in the same cabin with a friend? Want to know how waiting lists work? We’ve got you covered. From August 22 to August 23, 2018, pre-registered campers are given an opportunity to switch to a different session before registration for new campers begins. Log in to your registration account to switch sessions. You can pre-register for the same session next year at any point online after camp begins or at closing ceremony. By pre-registering, current campers save their spot in that session before registration is opened to the public. If you want to come to a different session next year, we recommend that you go ahead and pre-register for your current session and switch later. To pre-register, you must pay the non-refundable deposit. Pre-registration must be completed before August 15, 2018. If there is no space available for the camp session you request, you may be placed on a waiting list for that session with no deposit required. We register hundreds of campers off the waiting lists each year, so don’t lose heart. The waiting list is limited to two camp sessions. When a space is available, we will call you, leave a message, and send you an e-mail. You will be given a set period of time to contact the registration department or go online to register. If we do not receive a response, your camper will be deleted from our waiting list. Campers may not substitute another camper for their spot on the waiting list. During the summer (June through August) we will not leave messages. Please make sure we have up-to-date contact information in your account so we can get in touch with you! We offer the option to request that your camper be in the same group as another specific friend or up to 3 friends (for a group total of 4). We do not allow more than four campers to be together in a group to make sure all campers are included in the entire cabin group. You can submit group requests online in your registration account. Youth camp registrations require a $200 non-refundable deposit for one week sessions and a $400 non-refundable deposit for two-week sessions. Family camp requires a $400 non-refundable deposit at time of registration. Camp in the City requires a $100 non-refundable deposit at time of registration. Any cancellation before the end of day May 1 will be refunded everything but the non-refundable deposit. 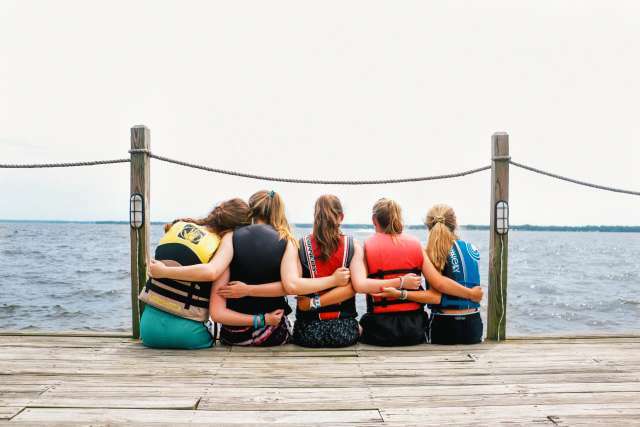 For cancellations after May 1, Pine Cove will consider refunds on a case by case basis depending on the likelihood of an empty camp spot, the circumstances of the camper, and availability. Any cancellation before the end of day November 1 will be refunded everything but the non-refundable deposit. For cancellations after November 1, Pine Cove will consider refunds on a case by case basis depending on the likelihood of an empty camp spot, the circumstances of the camper, and availability. Login to manage your registrations or contact us if you have questions.